Let’s talk sandwiches. I am almost always an outspoken advocate for the abolition of sandwiches. I blame this on living in England for so long, where cold, beige triangles of sadness and questionable ingredients (tuna and sweetcorn, HOW DID THIS PLACE EVER HAVE AN EMPIRE?) are a lunch-time staple. I literally break out into a cold sweat when I have to attend any form of conference or office based meeting, as large trays of aforementioned sandwiches will always be in attendance as well. Even posh British sandwich joints like Pret cannot rid me of my fear. Britain is, without a doubt in my mind, where sandwiches go to die. In Lecce, my faith in sandwiches was restored. 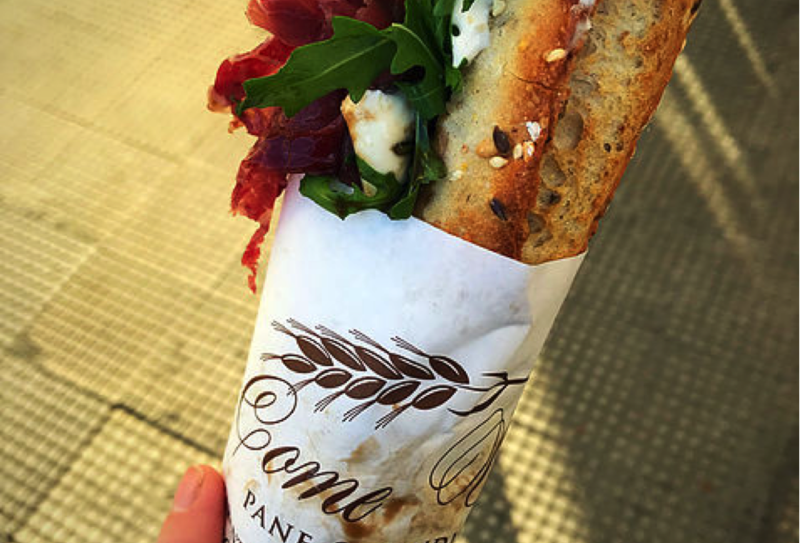 Come Vuoi Pane & Condimenti is a create your own sandwich mecca. When you step inside, you pick up a sheet of paper which lists dozens upon dozens of Italian cured meats, all of the cheeses, freshly made spreads, sauces, and infused cremas, and heaps of vegetables – both grilled and fresh. You literally just tick the box next to ingredients you fancy, and voila – your dream sandwich is yours. 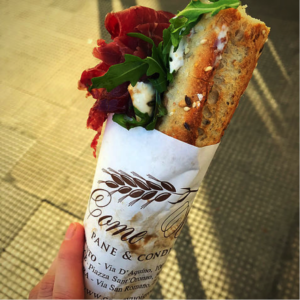 I got bresaola (cured beef) with rocket, artichoke crema, a balsamic reduction, grilled aubergines, and stracciatella (the most amazing, creamy, stretchy cheese) on a multi-seed baguette. DEAD. I will never enjoy another sandwich more in my life: fact. Sandwich bliss can be yours too, for less than five euros.